Corporate turnaround specialist Morgan Spencer, dubbed the "success guru," has a Midas touch in business. But losing his wife sent him to the brink, and his two-year-old daughter, Livie, is all he's living for-until they encounter a woman whose trouble just might draw him out of his own. Kristen Heitzmann is the bestselling author of over a dozen novels, including "Freefall", "Halos", "A Rush of Wings", and the Christy Award winner "Secrets". She and her husband, Jim, and their family live in Colorado Springs, Colorado, where she serves as worship leader in their church. 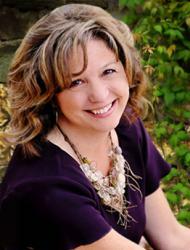 Find out more about Kristen at http://www.kristenheitzmannbooks.com/. I usually prefer historical fiction but this modern day fiction was one of the best I have ever read! 1) The characters were very interesting and have gone through quite the trials in their lives and have come out better people! I would love to read their stories and catch up on their lives! 2) Kristen Heitzmann is an AMAZING author and I want to read EVERY book that is written by her! The Breath of Dawn was so good that I bet the others are too! This book was a little longer than most but I was so happy because I never wanted the story of Quinn and Morgan to end! I held on to every word, story and character that Kristen spun in this book and I really hope she comes out with another one that has Quinn and Morgan in it! I seriously feel like part of their lives after this book! I cheered, teared up, held my breath and so much more as I read the pages of The Breath of Dawn and it is definitely a book I will recommend to all my friends! Check out what other reviewers of this book thought! Enter today by clicking one of the icons below. But hurry, the giveaway ends on November 26th. 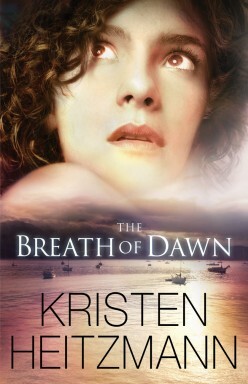 Winner will be announced at the "The Breath of Dawn" Author Chat Facebook Party on 11/27. Connect with Kristen, get a sneak peek of her next book, try your hand at the trivia contest, and chat with readers just like you. There will also be gift certificates, books and a Book Club Prize Pack to be won (10 copies for your book club or small group)! Don't miss a moment of the fun, RSVP today. Tell your friends via FACEBOOK or TWITTER and increase your chances of winning. Hope to see you on the 27th!